ShoutBloger: For those of you that will last buy a PlayStation 3 (PS3), there is good news for you. Because the console from Japan's rumored to be launching the PlayStation 3 update with the latest models. 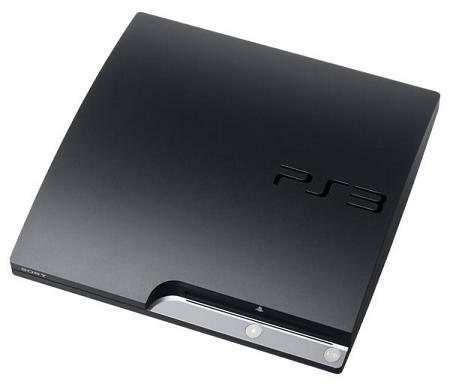 There are some changes towards improvements for the new PS3 as a console that will be equipped with powerful hard disk is 320GB. Not only that, saving power consumption is also reduced from 230W to 200W and weighs PS3 was also reduced from 3 Kg to 2.6 Kg. Changes in appearance include different strengths and the addition of the texture like the eject button is equipped with LED lights. However, for the price there is no change to the current PlayStation 3 model. If the retailer has run out of stock in the new PlayStation 3 update will be sent. No picture of the PS3 release of this new model, but simply triggers the attention of consumers and retailers to see how the new PS3 will come. So that was released Ubergizmo on Tuesday June 21, 2011. Latest news, the PlayStation 3 update with a new model has been officially confirmed. All that has been mentioned in previous reports had been correct lighter weight, lower power consumption except for changes in physical appearance. The new PS3 model is said to come with copyright protection AACS, which means Blu-ray movies will only play in 480i when not using HDMI, ie you will not get 1080p Full HD output when using analog connections). A less expensive 160GB model is expected to be released.